If any questions please contact us or read our policies and review our waiver. Minimum standards: Powder South Heliski-Guides cater to advanced skiers. You need to be strong and solid skiers. If a client skiing or snowboarding ability is not up to the standards necessary to ski with Powder South Heliski-Guides, we reserve the right to refuse service without any refund. A client must be and advanced skier, capable of skiing black diamond terrain comfortably in a variety of snow, terrain and weather conditions. 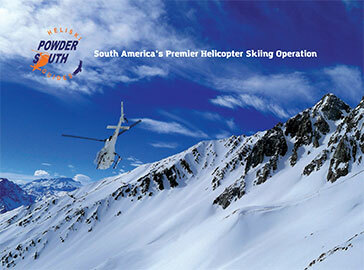 Powder South will accommodate your lodging desire according to the availability in the nearest place where the heli-packages is taking place.